SOUL RED METALLIC PAINT CHARGE, SOUL RED METALLIC, BLACK, LEATHERETTE SEAT TRIM, Wheels: 18 x 7.0J Alloy, Valet Function, Trip Computer, Transmission w/Driver Selectable Mode, Tires: P215/45R18 AS SBR -inc: T125/70D16 spare tire, Tailgate/Rear Door Lock Included w/Power Door Locks, Strut Front Suspension w/Coil Springs. This Mazda Mazda3 5-Door has a dependable Regular Unleaded I-4 2.0 L/122 engine powering this Automatic transmission. *This Mazda Mazda3 5-Door Touring Has Everything You Want *Steel Spare Wheel, Smart Device Integration, Smart City Brake Support and Rear Cross Traffic Alert, Side Impact Beams, Seats w/Leatherette Back Material, Rigid Cargo Cover, Remote Releases -Inc: Mechanical Fuel, Remote Keyless Entry w/Integrated Key Transmitter, Illuminated Entry, Illuminated Ignition Switch and Panic Button, Rear Cupholder, Rear Child Safety Locks, Rain Detecting Variable Intermittent Wipers, Radio: AM/FM/HD Audio System -inc: digital clock, 6-speaker full-range door-mounted type sound system, Bluetooth handsfree phone and audio, auxiliary audio input jack and 2 USB audio inputs, MAZDA CONNECT Infotainment System, voice-command, E911 automatic emergency notification, 7 full-color touch-screen display, multi-function Commander control, Pandora, Aha and Stitcher internet radio integration, Radio Broadcast Data System program information and SMS text message audio delivery and reply, Radio w/Seek-Scan, Speed Compensated Volume Control, Steering Wheel Controls, Voice Activation and Radio Data System, Quasi-Dual Stainless Steel Exhaust w/Chrome Tailpipe Finisher, Proximity Key For Doors And Push Button Start, Power Rear Windows, Power Door Locks w/Autolock Feature, Power 1st Row Windows w/Driver 1-Touch Up/Down, Outside Temp Gauge, Outboard Front Lap And Shoulder Safety Belts -inc: Rear Center 3 Point, Height Adjusters and Pretensioners. *Drive Your Mazda Mazda3 5-Door Touring With Confidence *Carfax reports: Carfax One-Owner Vehicle, No Damage Reported, No Accidents Reported. 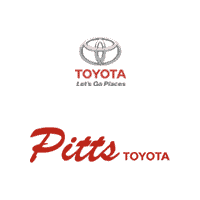 *Only The Best Get Recognized*IIHS Top Safety Pick+, KBB.com Brand Image Awards. 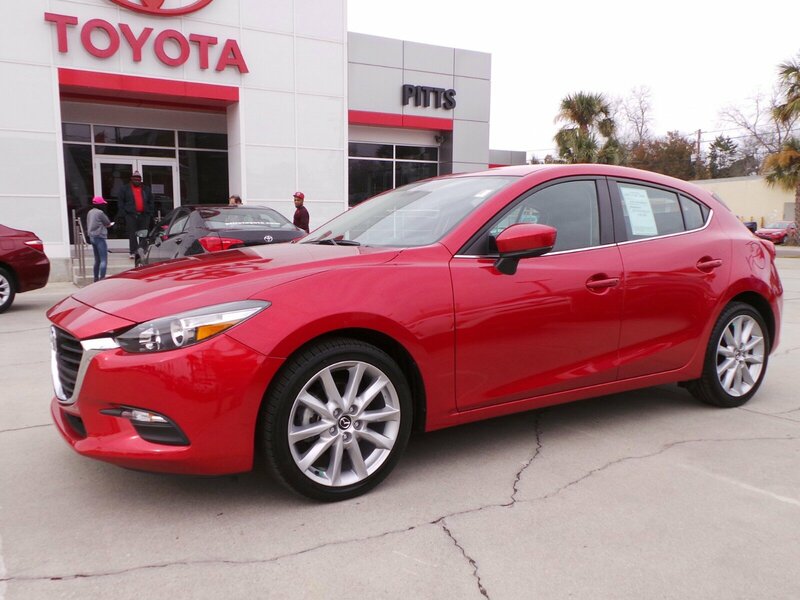 *Stop By Today *For a must-own Mazda Mazda3 5-Door come see us at Pitts Toyota, 210 N Jefferson St, Dublin, GA 31021. Just minutes away!